Click on Tour1 for 3D 360 degree Tour2 for video tour. DON'T MISS THE CHANCE TO BUY THIS MAGNIFICENT RETIREMENT DREAM - MAINTENANCE FREE - A LITTLE TLC and it's perfect - 2br/2ba Eden model 1,649sqft, ceiling fans, convenient floor plan provides a welcoming atmosphere, an inviting bright & spacious, open design with a pass-thru from the 18x7 ft Kitchen to the 29x12 ft Family room, and featuring a 21x15 ft Living room, 10x10 ft Dining room, 14x13 ft master bedroom, 14x12 2nd bedroom, and a 20x6 ft front covered patio, on a large corner lot. 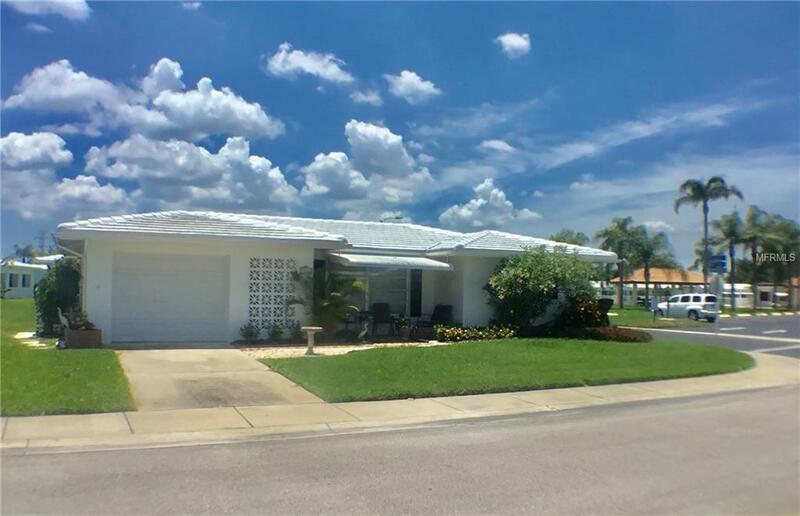 Adjacent to 60x30 heated pool, picnic area, shuffleboard courts, and clubhouse.The "Mainlands of Tamarac By The Gulf is a very popular, active golf & retirement community that is safe, quiet, & stable. A Tropical Oasis, setup as condominiums, consisting of stand-alone, single family homes - the best of both worlds. Independence with MAINTENANCE FREE. The monthly dues $328 include: lawn care, cable, water, exterior, exterior paint, roof, sewer, irrigation water, trash removal, & escrow reserves. There are many activities & events at the clubhouse: heated swimming pool, shuffleboard courts, & clubhouse in a park like setting, mens, womens, & social clubs, cards, pancake breakfasts, pot lucks, dinners, & dances; meet new friends & neighbors. Unit 4 is 55+ for one & 40+ for others. It allows 2 pets (35lbs) has underground utilities, mail delivery to your front door, it owns the clubhouse, & has escrow reserves of $1.1 million+. All info to be verified by buyer.